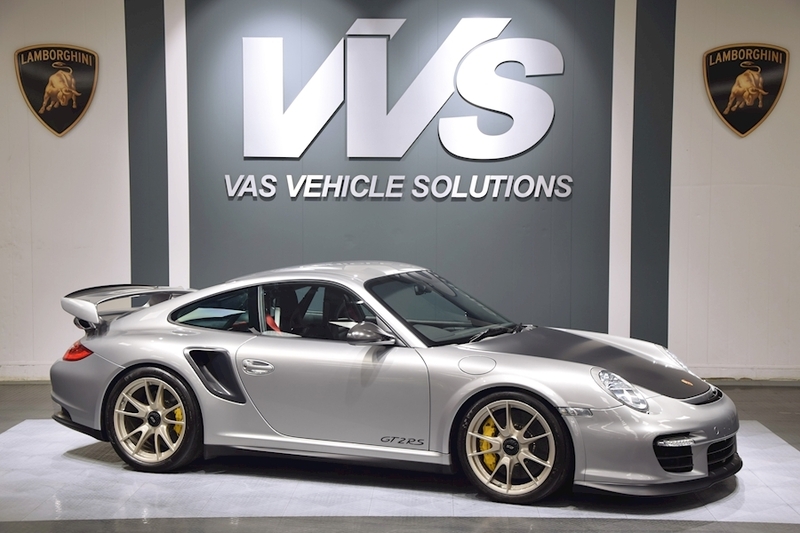 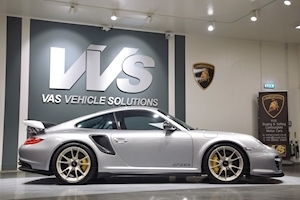 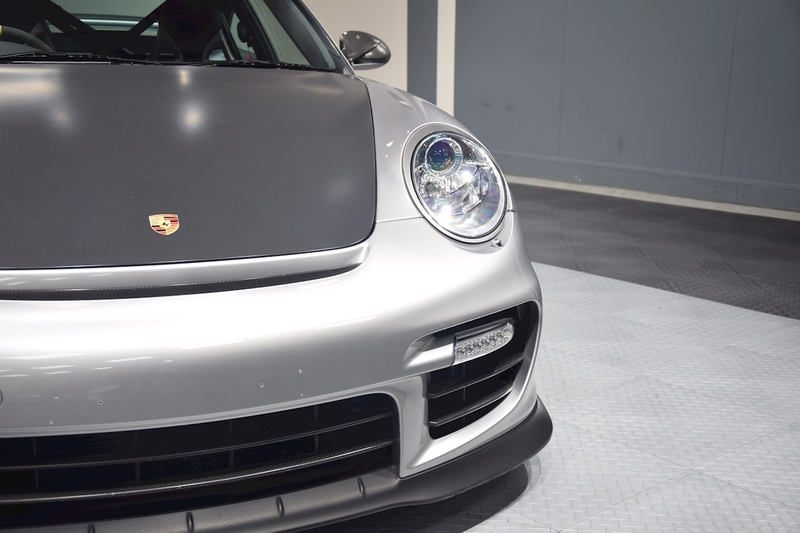 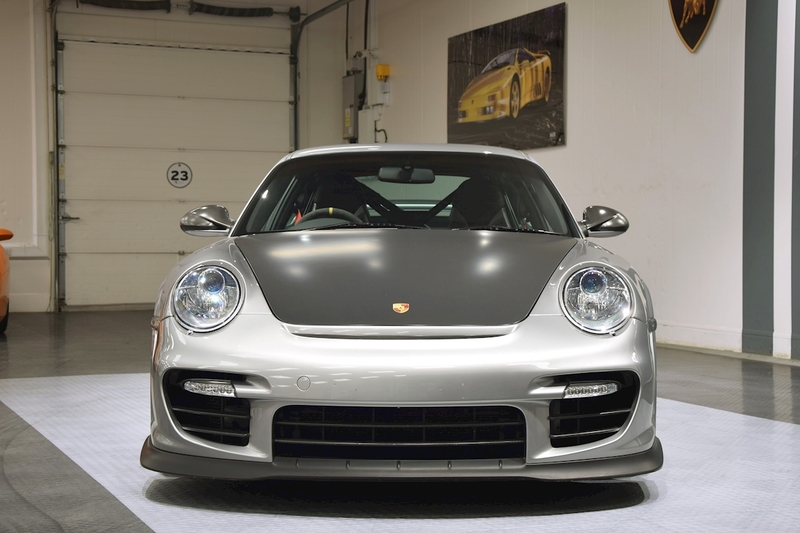 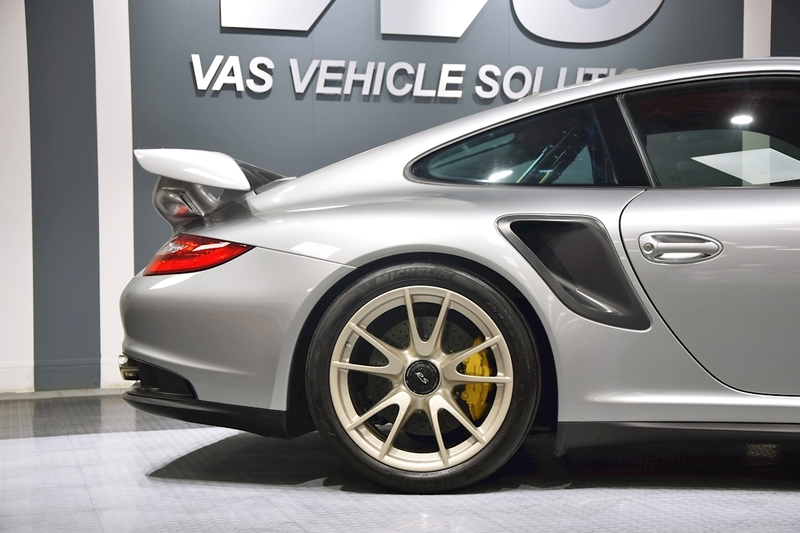 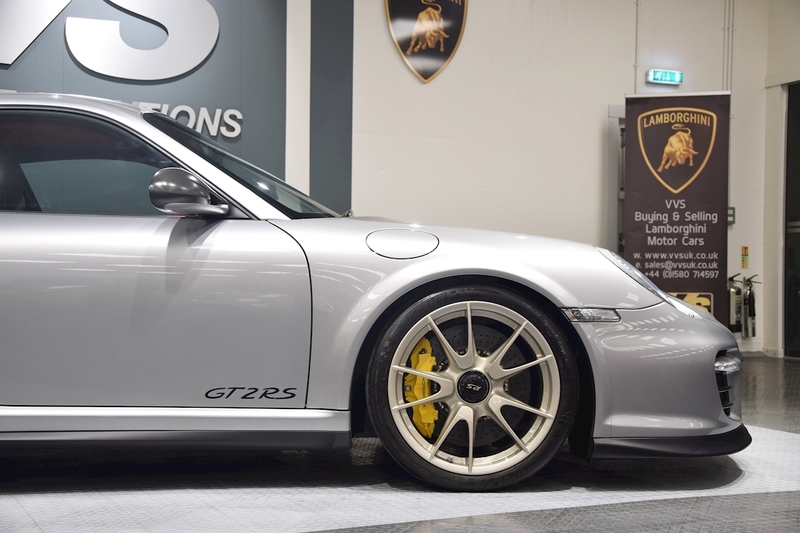 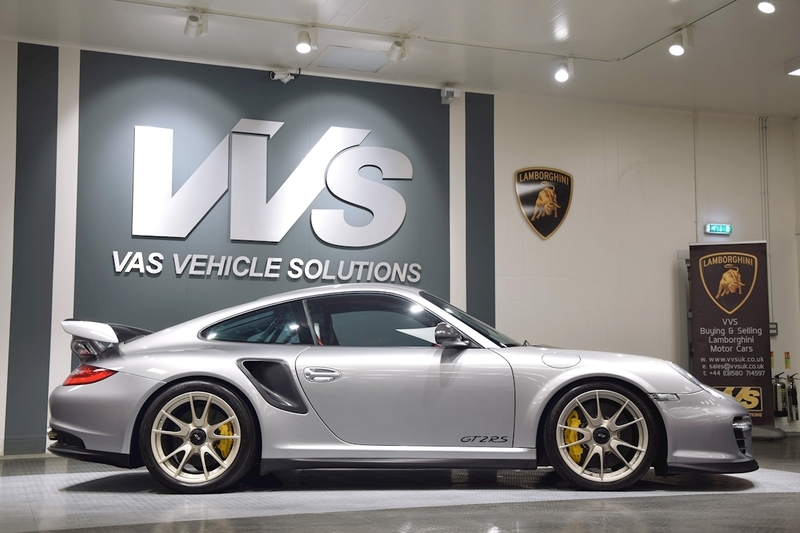 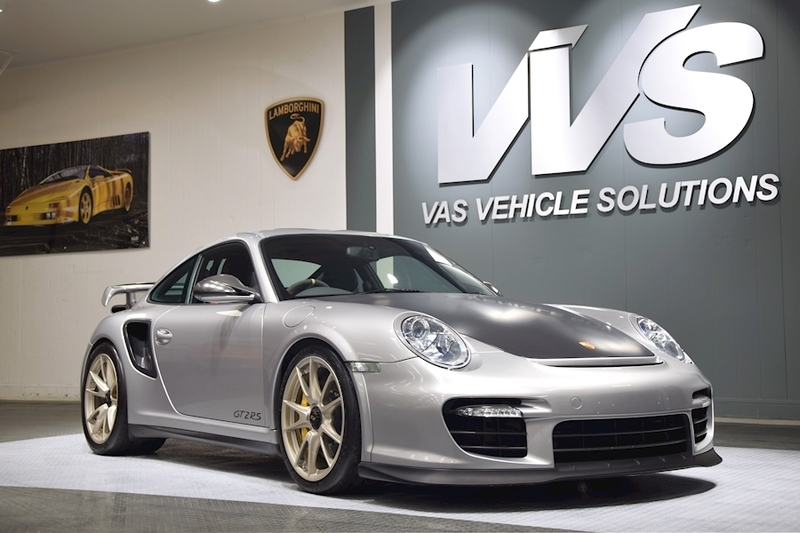 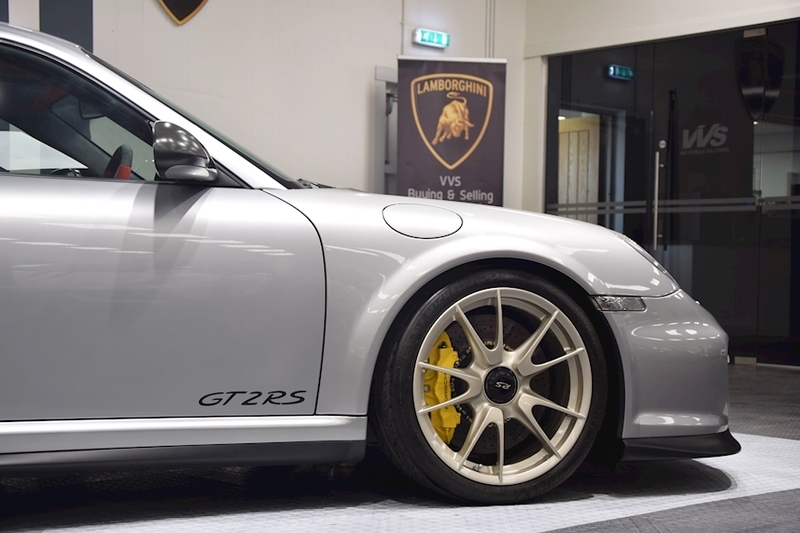 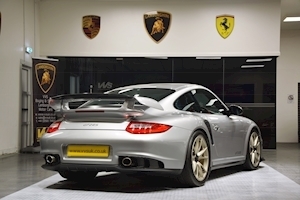 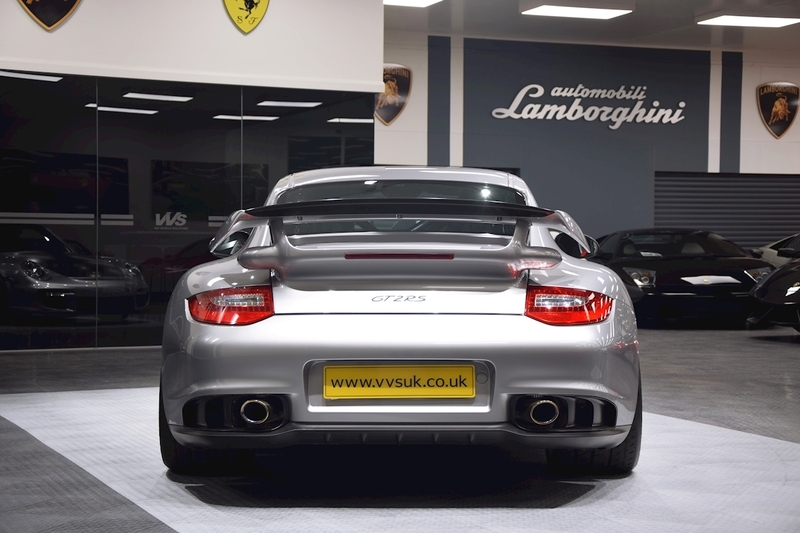 VVS are delighted to offer this 2011 Porsche 911 997 GT2 RS Coupe presented in the favourable GT Silver with carbon bonnet and is number 259 of only 500 cars built. 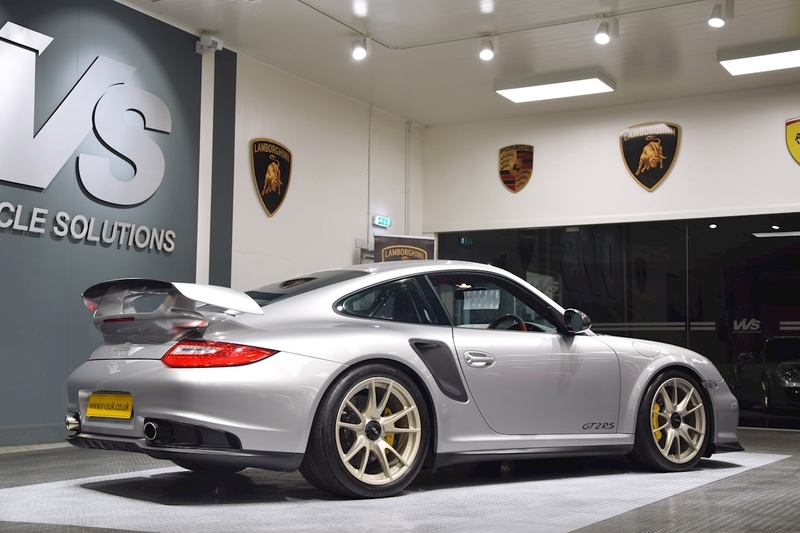 This is the fastest 997 to leave the factory. 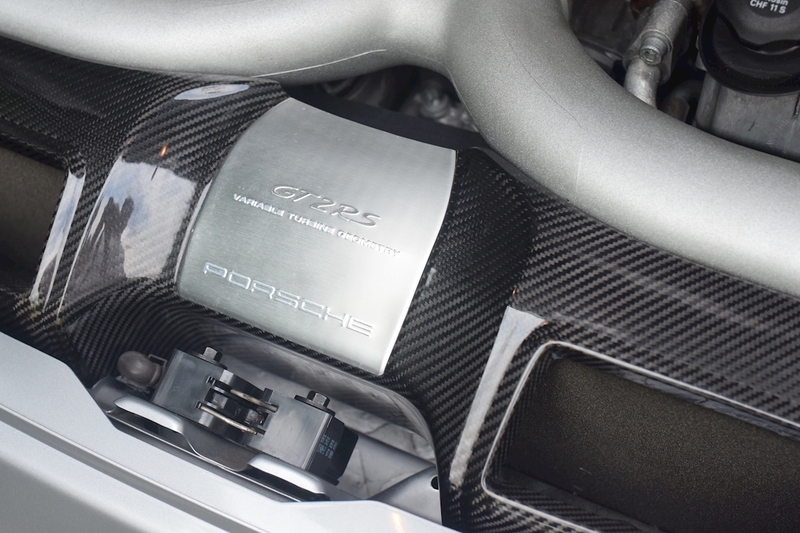 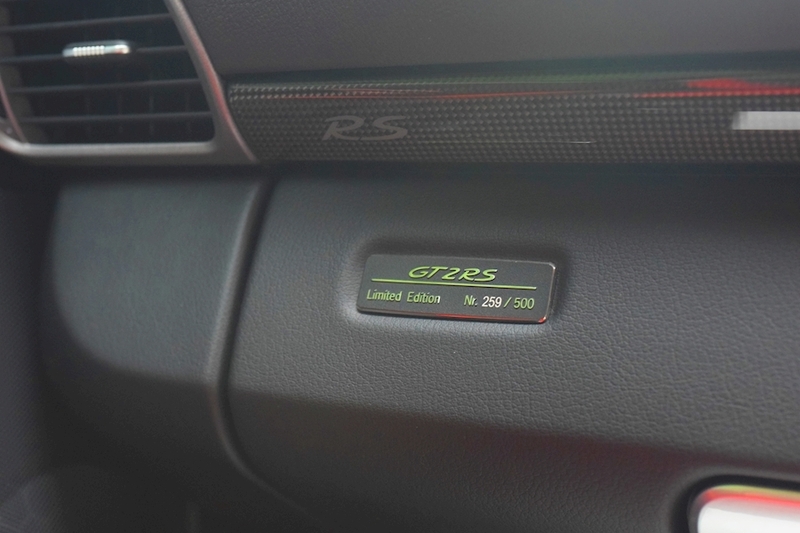 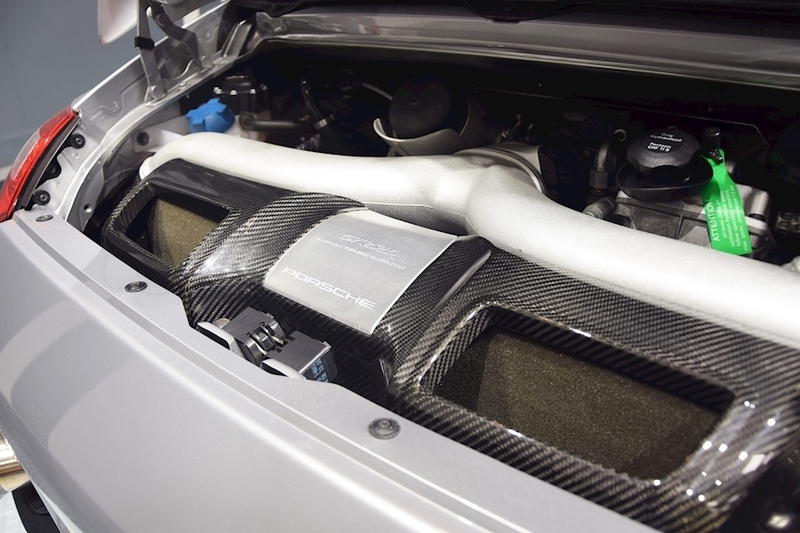 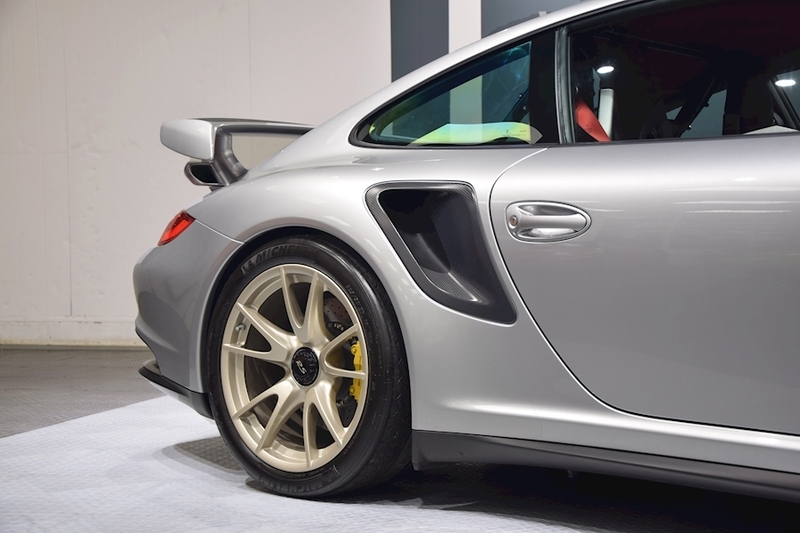 The engine is similar to the 997 GT2, although with new turbochargers, a new intercooler unit, new pistons and a new engine management system. 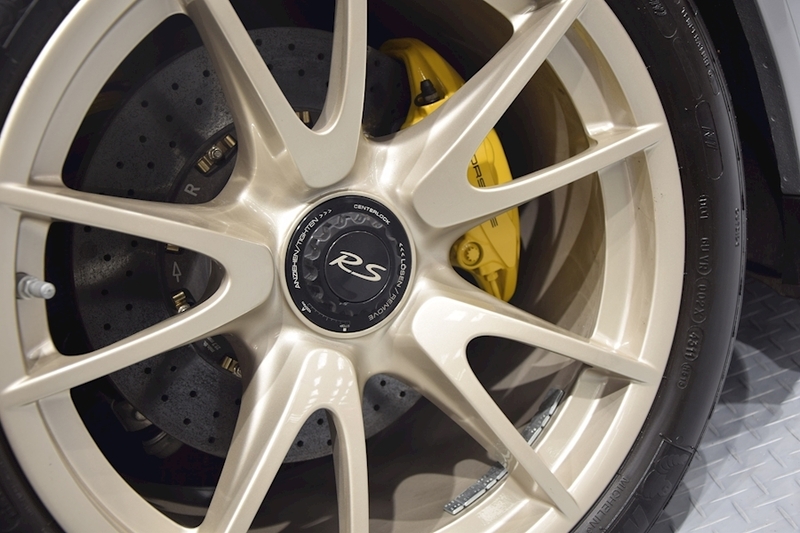 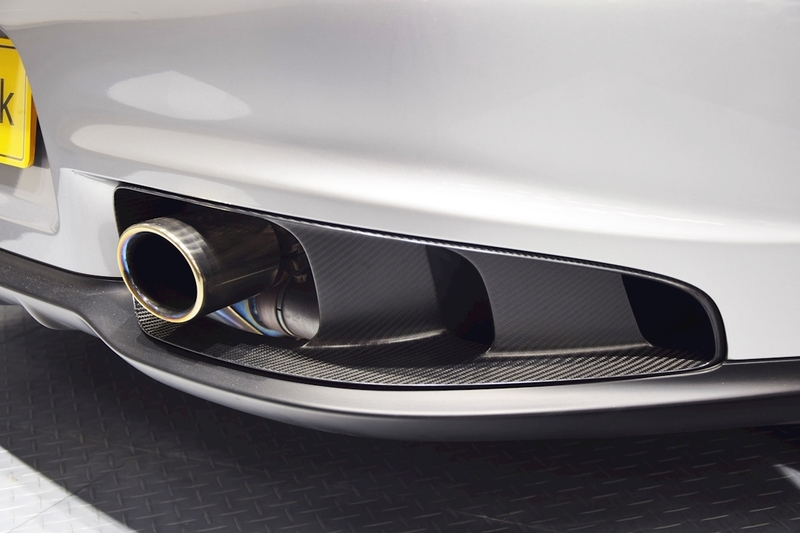 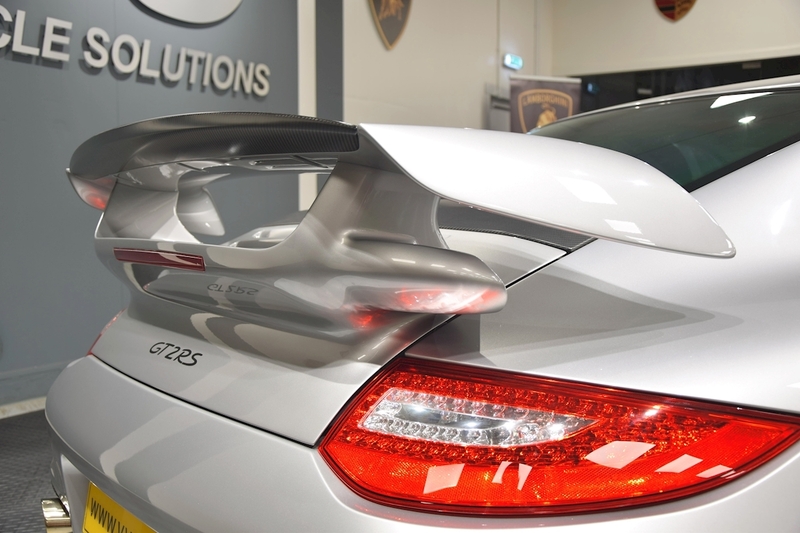 Aerodynamically this car is extremely efficient with an updated splitter and a larger rear diffuser. 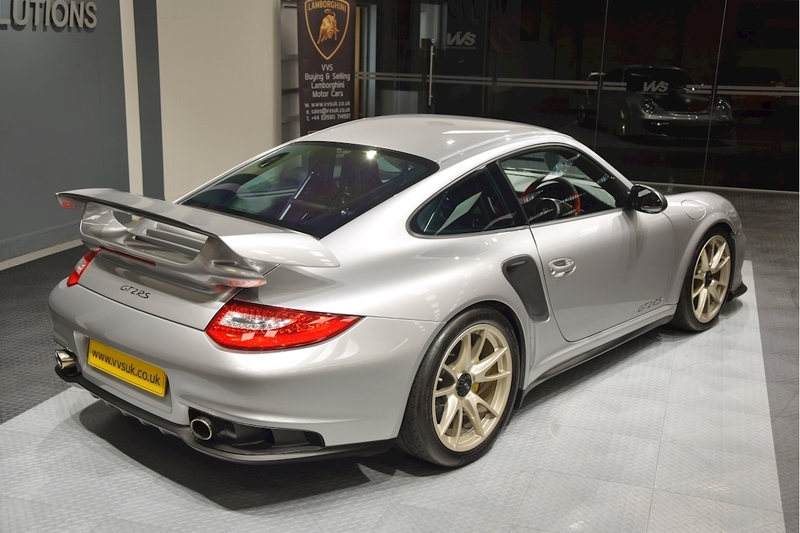 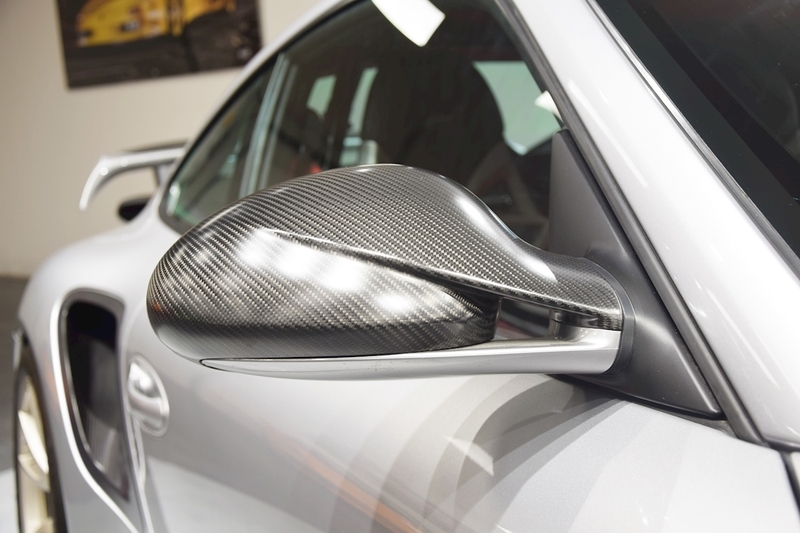 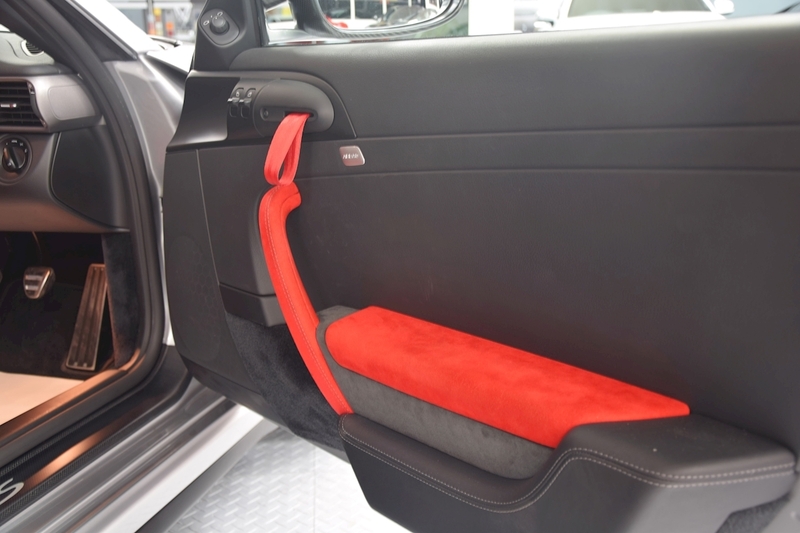 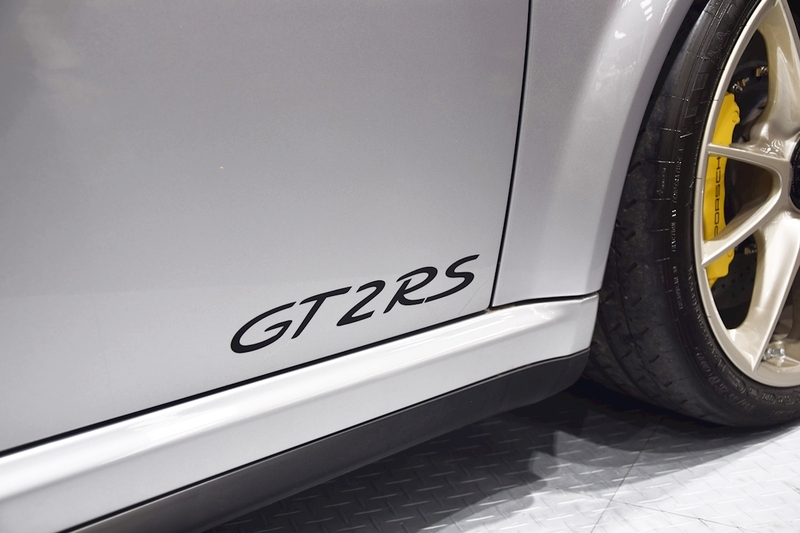 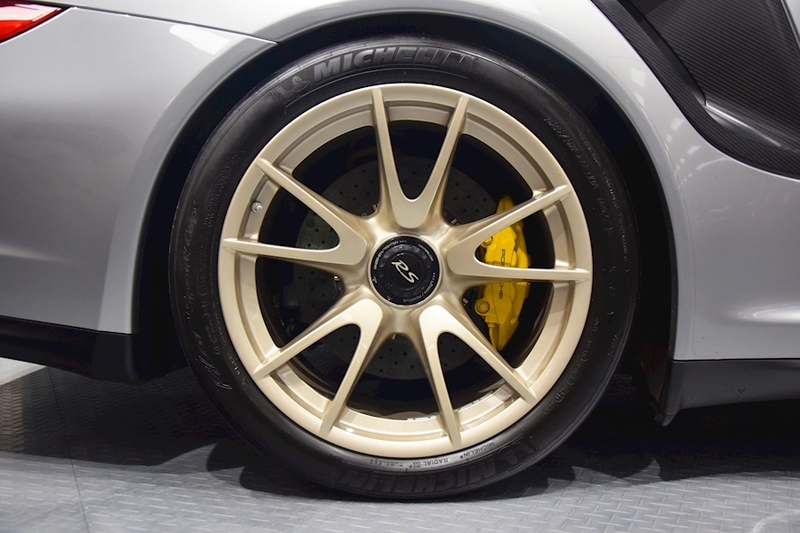 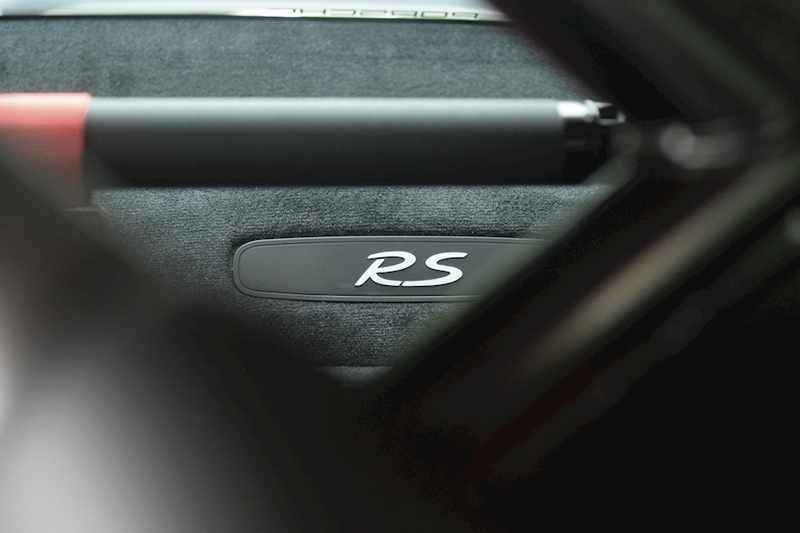 Due to the extensive carbon and the plastic rear window, it is 70kg lighter than the last GT2. 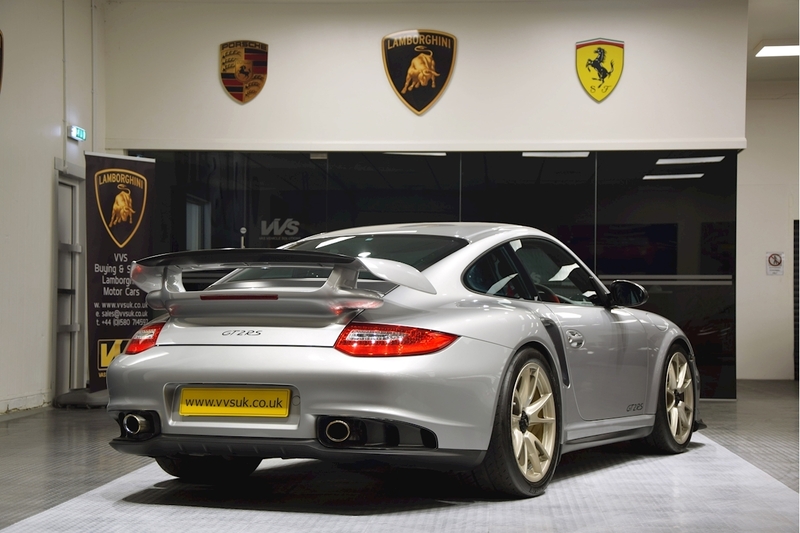 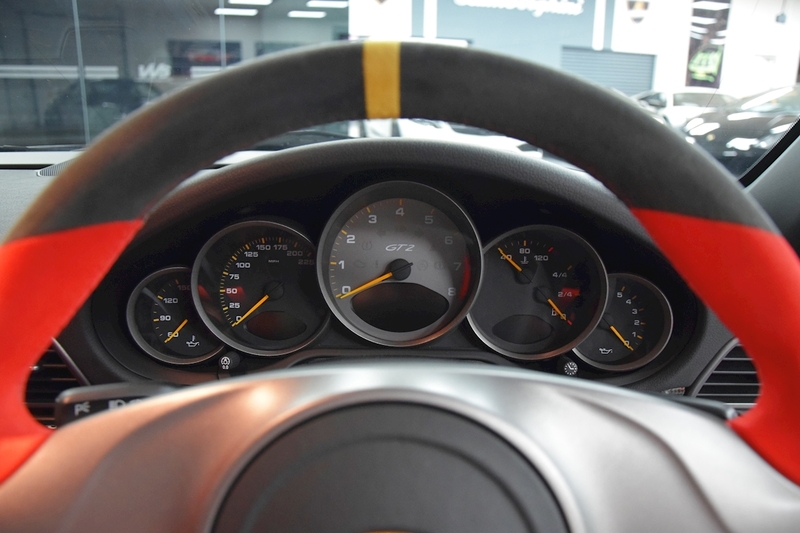 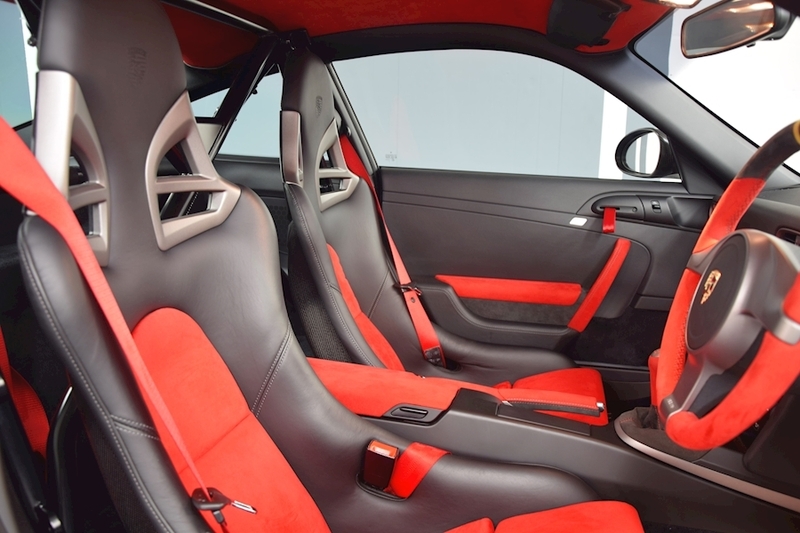 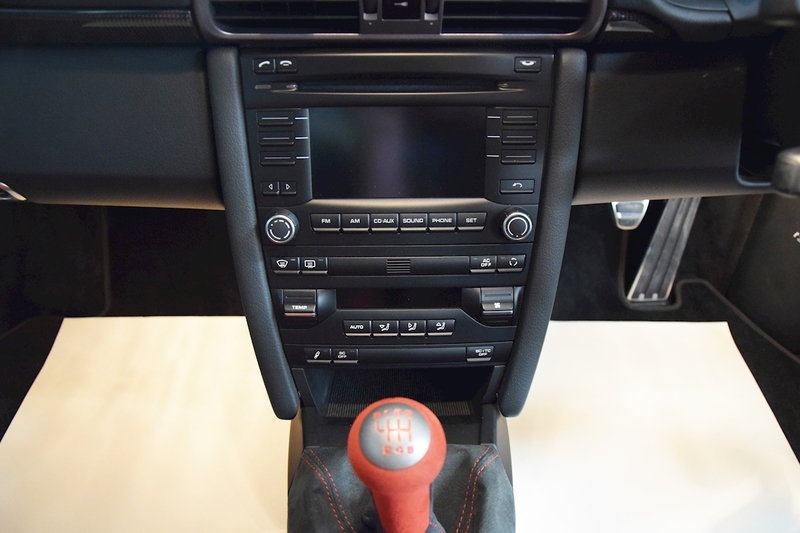 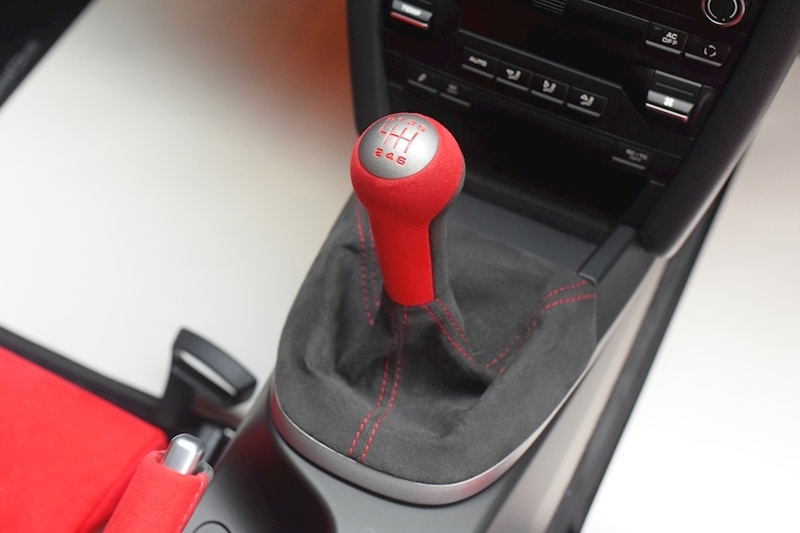 The specification of this car includes carbon ceramic brakes, half cage, driver and passenger airbags, remote central locking with alarm/immobiliser, shorter gear shift lever, headlight washers, climate control, red seat belts, single CD, heated mirrors, carbon fibre mirror casings, carbon fibre bonnet, electric mirrors and electric windows and a comprehensive Porsche service history from new. 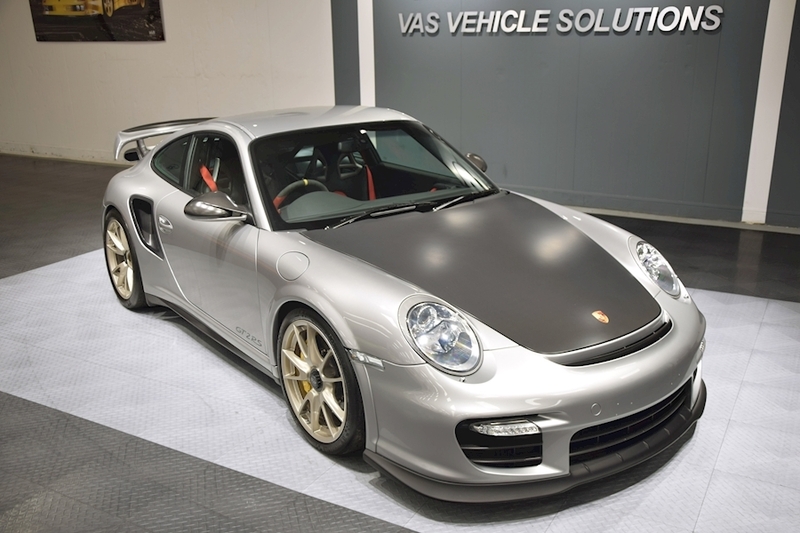 Covered just 1400 miles this car is perfect for any collection.